Only days after returning from the Sun ‘n Fun International Fly-in and Expo in sunny Lakeland, FL, the Hartzell team is travelling again. This time, they are taking our message of unparalleled performance through composite propellers to Germany. The team touched down Sunday in Friedrichshafen to attend AERO: The Global Show for General Aviation. Hartzell’s Executive VP J.J. Frigge will be making the rounds at the show, talking shop and spreading the word about our newest aircraft propellers, including the Bantam 3-blade and the Trailblazer. As with Sun ‘N Fun, we invite you to check back and see our picks for must-see events and exhibits at this massive European aviation expo. That isn’t the only news from Europe this week, however. The Red Bull Air Race World Championship is set to return this Saturday in Rovinj, Croatia. 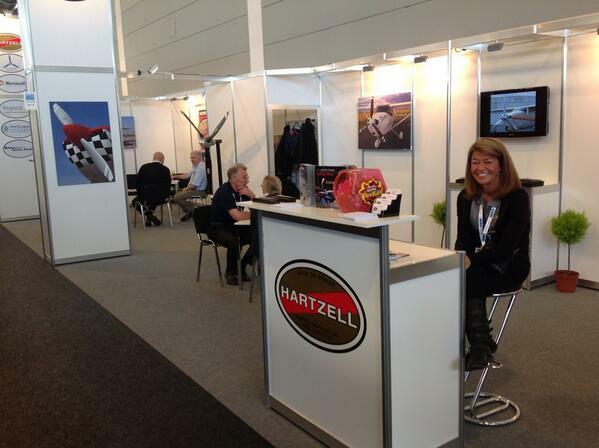 We have already seen some great photos from Michael Goulian, the exceptional Hartzell sponsored air race pilot. All of the Red Bull Air Race pilots fly with Hartzell’s advanced aerobatic propeller, The Claw, and we we wish them all success. Check back for updates on the race. If it is anything like the first competition in Abu Dhabi, we have an exciting weekend to look forward to.